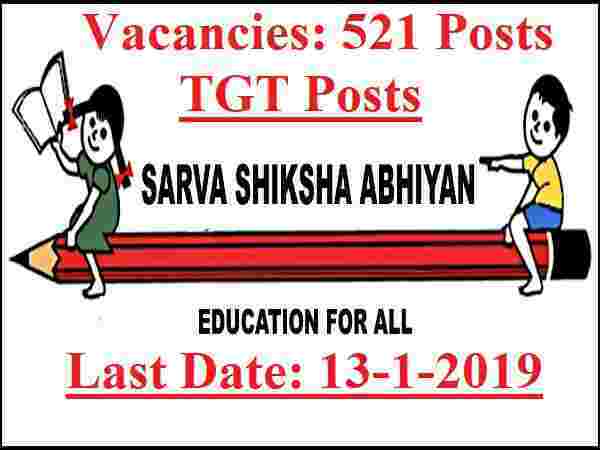 Directorate of Education recruitment Notice for TGT posts 2019. Here comes the Latest Government job notification for TGT posts under teaching profession. So those who are looking for the teaching career in India can apply for these Government jobs in Delhi for TGT Posts under various subjects. There are total 521 TGT vacancies which are going to be filled up through this recruitment process. Willing applicants may apply online on our website www.edudel.nic.in latest by 13/01/2019 in anyone of the district of their choice. The candidate shall fill up his or her name as recorded in the certificate of Secondary/Sr. Secondary Board Examination, failing which application shall be summarily rejected. No change in the application form will be entertained after submission. The application shall be submitted online 13/01/2019 by 5pm. The result will be displayed on website on 18/01/2019. Trained Graduate Teachers (TGTs) are proposed to be engaged on contractual basis by the UEE Mission, a society registered under the Societies Registration Act, 1860 for implementation of scheme of Samagra Shiksha Abhiyan (SSA). Subject wise tentative vacancies in each district are enclosed herewith. The TGT vacancies are subject to variation. More information related to these teaching jobs in India is given below in this article. Read it till the end to know more about this TGT Recruitment process 2019. Pay Band: 38,100 per Month. Educational Requirement: Indian fresher applicants who have a Bachelor Degree in Related Subject and also completed B.Ed Exam from a well-recognized University in India with CTET Junior Level Class VI to VIII Exam Passed can apply for these Government jobs in Delhi for TGT posts. Age Bond: Applicants age must be less than 30 years for Male candidates. For Female age must be less than 35 years for applying these Government jobs for Teacher posts. All applicants who satisfied above eligibility criteria can apply for these TGT Posts in Delhi without paying any application fee. ZERO application fee is required for applying.